This photo was taken on Family Day in May of 2009. It is a picture of my father and I moving ahead of the group to have the type of talk that only father and son can have at a moment like this. This moment only happens once in a lifetime. The caption my mother put with this photo read, "I love his new walk". I never thought about the simple fact that I would be walking differently. That is something only a parent can take note of. 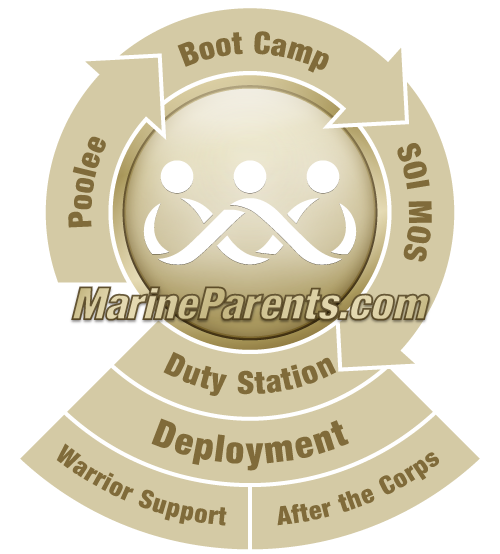 The changes that will happen during those 3 months at boot camp are both obvious, and very subtle. As your Family and Graduation Day begin to approach, remember to step back and really let those moments with your new Marine sink in. Often, now that I am closing in on 7 years removed from my graduation, I reflect back on those two days spent on MCRD SD with my family, and I realize that they were probably the best days of my life. They may very well be some of your best days, so remember to enjoy them to the fullest...and take lots of pictures!